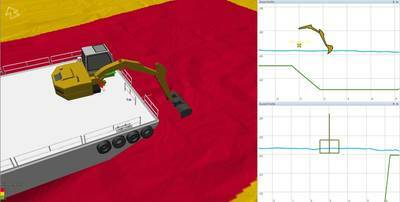 The combination of 3D and cross-profile views integrating sensor data equals comprehensive real-time visualisation of dredging operations. This week sees the launch of the EIVA NaviSuite Uca software bundle, a plug and play solution for integration with the Trimble GCS900 Grade Control System for excavators. EIVA NaviSuite Uca is the result of collaboration between EIVA and Trimble, established to enable Trimble customers to choose EIVA software for use with the Trimble GCS900 Grade Control System for excavators. Using EIVA software with the GCS900 allows dredging contractors to leverage the capabilities of the EIVA dredging software with the precise positioning capabilities of the Trimble system. The user-friendly 3D EIVA software allows for efficient and precise dredging operations, which means less time spent in the cab and an overall reduced time-frame of operations, from pre-survey to end-report. “Offering our customers software that matches their specific setups with no risk of integration complications is a key objective to EIVA. The NaviSuite Uca solution is a clear example of our ability to live up to this promise,” said EIVA CEO Jeppe Nielsen. By integrating pre-survey, GPS and grade sensor data, NaviSuite Uca offers real-time navigation and 3D visualization of the dredger body, boom, stick and bucket position relative to the seabed. This, together with a combined view of a pre-survey image of the seabed and target profile, supported by a cross-profile, provides the operator with a constant overview of the operation progress. 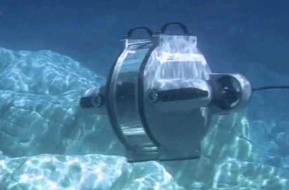 The NaviSuite Uca is available now through Trimble’s Marine Dealers in Europe. The Trimble GCS900 Grade Control System for Excavators is available worldwide from Trimble’s SITECH® Technology Dealer channel.